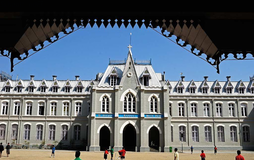 Find below the list of top State Board schools in Darjeeling with phone number, address, 360° School tours, 2018-19 Admission forms & Fees, photos, facilities & more. 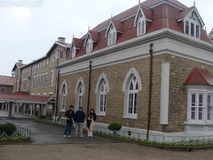 St Philomena's Girls Higher Secondary School is located in Kalimpong, Darjeeling. It was established in 1928. This school follows the State board. The school has English medium. KGHS was established in 1890, by Mrs. Katherine Graham. One of the oldest schools of Kalimpong, it was established with an aim to render the best women education in this region. Affiliated to the West Bengal Council of Higher Secondary, KGHS has in fact come a long long way and strives to impart empowerment to the girl child with better education and all round development. There at Rockvale, not only do you have the multifarious activities of an established school at our disposal, but you are much closer to the surrounding countryside than you might imagine. Rockvale Academy was established in the year 1984 and is affiliated to the ICSE and ISC Board, New Delhi, and offers prescribed course in Arts and Commerce at the +2 level. 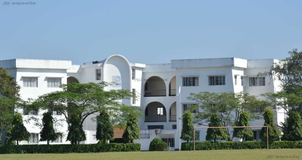 St. Augustine's School (SAS), Kalimpong, is a school which conducts classes from Lower Kinder Garten to Class XII and is affiliated to the Council for the Indian School Certificate Education, New Delhi. The School is recognized by the Department of Education, Government of West Bengal. SAS is situated in the town of Kalimpong, Darjeeling District. The school was established in the year 1945 A.D.
Mount Carmel School Is A Minority Christian Institution Established By The Children’s Faith Home, A Registered Society Under The West Bengal Government. Mount Carmel School Was Envisioned And Founded By Late Rev. Dr. Subhang Sodemba A Pioneer In Mission Work, To Provide Excellent Education In A Christian Atmosphere In 1984. The School Aims At The Holistic Development Of The Children To Go Out Into The World Fully Equipped In Body, Mind And Spirit, To Lead A Full And Useful Life, Satisfying To Oneself And Of True Value To The Community, To Man And To God. 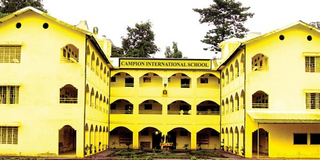 Mount Carmel Is A Co-Education School Conducting Classes From Nursery To Class- XII (Humanities & Commerce Stream). The Medium Of Instruction Is English. The School Is Affiliated With The Council For The Indian School Certificate Examinations, New Delhi Since 2003. 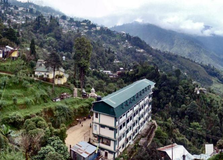 Nestled atop the lower Himalayan Ranges at an altitude of approximately 4100 feet Paramount School is located in the quiet resort town of Kalimpong in West Bengal. Kalimpong town is only 75 km from the railway station, New Jalpaiguri (NJP) and 80 km from the Airport, Bagdogra. The school is located at East Main Road (Junction) in a very healthy and peaceful environment overlooking the Relli Valley. You and your child deserve to be looking only at the top State Board schools in Darjeeling. We at Sqoolz, have created an all-encompassing list of best State Board schools in Darjeeling so that you can pick the one that is most suitable for your needs. Is the location viable? Is the school big enough? What additional facilities do they provide? Find answers to all the important questions with us. You can even take our virtual tour and see for yourself whether or not the school fits your child's needs.